Here’s an interesting, healthy, and economical breakfast dish which can add a taste of late summer to fall fare. Because of the ingredients used, the need for salt should be minimal beyond a pinch for taste. While cooking, the aroma should evoke thoughts of a potato salad. Note: do NOT peel vegetables. Use fresh as much as possible. Over medium heat, melt butter in skillet or medium frying pan. Mix all other ingredients, except for celery seed and curry, in a bowl until well blended. Empty contents into skillet and flatten out with spatula. Fry the mix for several minutes until golden brown on each side. 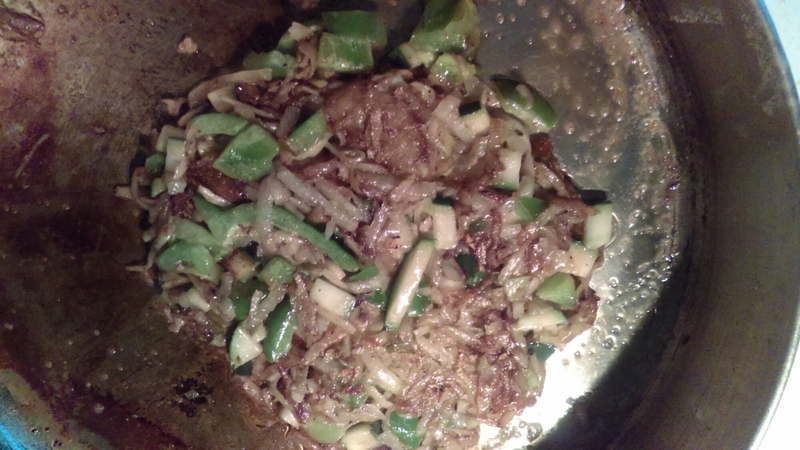 Prior to removal, sprinkle pinch of celery seed and curry powder evenly on top, flip and cook for 30 seconds. Serve with eggs or other breakfast foods. Pairs great with coffee.